Some things should never mix. Ever. Gremlins and food after midnight. I'm an anxiety warrior and the dentist is my nemesis. You should know that my dentist Trent is a really lovely bloke. He is kind and gentle and provides me with copious amounts of gas. My dislike of him is not personal. I just don't like being on his chair, unable to move, with my mouth filled with objects that shouldn't be in mouths ... it's all kinds of claustrophobic hell. The other day I broke a tooth. I'd rather break a leg. I am serious. I am petrified of going to the dentist. The pain doesn't bother me. It's everything else. You could say it is irrational, but I may not listen to you. As a person who battles with anxiety on a regular basis a trip to the dentist fills me with fear and dread. I never go for regular check ups ... I only ever go when it is time to fix something. Yes I totally understand the irony in that statement. And, no I won't listen to anyone's advice about prevention being better than cure. I just won't. A few years ago this trip to the dentist would have rendered me incapable of thinking straight for at least 2 days beforehand. In fact, in days gone by I would only go to the dentist if I could have a general anesthetic. These days, with a bit of help from a hypnotherapist I can keep the truly irrational fear at bay until I'm in the car on the way. Then it is game on. Did I mention that I'm going to the dentist today? In approximately 2 1/2 hours. The anxiety levels are building. I'm trying not to think about it, but minute by minute, hour by hour the space in my mind is being overtaken by all things dentist. Today's plan of attack will have me arriving 1/2 hour early so I can sit in the coffee shop downstairs and take a half does of valium. He will need to take an xray and I can manage that without too much panic. Should he need to do some work I will require gas - even for a poke around gas will be required. The minute I have to lie back and the suction machine starts, I need to be somewhere else in my head. Somewhere else usually involves drugs and/or gas. Last night a colleague told me he loves the dentist - he catches up on sleep when he is in the chair. What the? My mind cannot even process this. I am still trying to understand how people can watch those televisions they put on the ceilings. Seriously, the last thing I want to do is watch Mr Bean or Rage music clips. Millions of people are enduring much worse than this I know, and as I'm writing this I'm embarrassed by how ridiculous it sounds. I wish I could just give myself an upper cut and get the hell over myself - but it's not that easy. Anxiety disorder makes simple things seem so complex. Yes it is irrational, and to some people it borders on ridiculous, but to an anxiety warrior it is a very real thing and not something that can be fixed with a good dose of "get over yourself". My dental care specialist guides me by educating me regarding all aspects of an array of choices. His staff has always been extremely professional and knowledgeable as well. We would like to welcome you to Tijuana Dentist, Pacific Dental Tijuana one of the most comforting and advanced dental practices in Mexico. hope it would help all.. Absolutely know everybody how teeth is important in human life without teeth your life is bust and you cant enjoy with your food. Tijuana Dentist offer very affordable and High quality Dentistry, solving all Oral Problems with Cosmetic. Looking for a dentist in Playa del Carmen Mexico? We have a list of some of the best dentists in Playa del Carmen. Actually, being hard and being very expense to see a dentist is becoming a common phenomenon, so thanks you for posting such useful info for me, and I think that owing it, I will not worry the dental disease anymore, and the day will become more and more beautiful. besides, if you need any dental equipment- Autoclave Sterilizer. you can have a contact with me, in addition, we also can consult the dental disease to us alan dental. Have a nice day!!! That's why going in bit with a decent dental practitioner is significant. you've got to settle on a decent dental practitioner to cure your oral issues, for more information click here sleep spnea danbury. The house therefore created could finally injury the bone or different delicate tissues that head to support your teeth, and at last you'll lose the affected teeth, for more information click here boynton beach cosmetic dentistry. 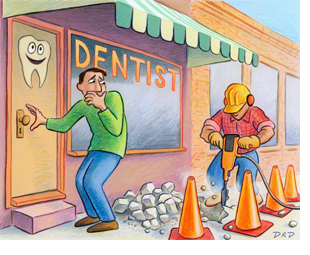 In most cases, the treatment doesn't finish at the dentist's workplace. you may tend gargle to use reception for a group amount of your time, for more information click here veneers port saint lucie. A top quality dental implants specialist is needed if you have got missing teeth that you simply need to own replaced in an exceedingly manner that's not harmful to the opposite teeth in your mouth, and in an exceedingly manner which will have the replacement be nearly unclassifiable by individuals you meet, for more information click here teeth whitening vero beach. Very nice! Look up everybody now a days we aren't care teeth .So we should take care of life.Add my website HOUSTON DENTAL VENEERS Houston Dental Veneers,Finding natural looking veneers in Houston doesn’t have to be an involved process,Call Now 832-786-4406, Give yourself the ultimate look. If you are trying to find a Dentist in Tijuana with experience, well jobs and affordable prices your search has been done. We are dedicated to provide our patients the highest quality of care and service.